Travel to Paracas and take a flight over the mysterious Nazca Lines. 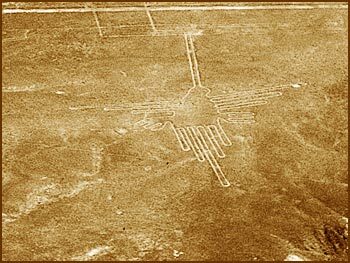 The giant enigmatic designs, resembling huge birds, spiders, geometrical lines and others, were drawn in the dunes of the Peruvian desert thousands of years ago. Visit the Paracas National Park where you will see the huge number of marine mammals and seabirds.